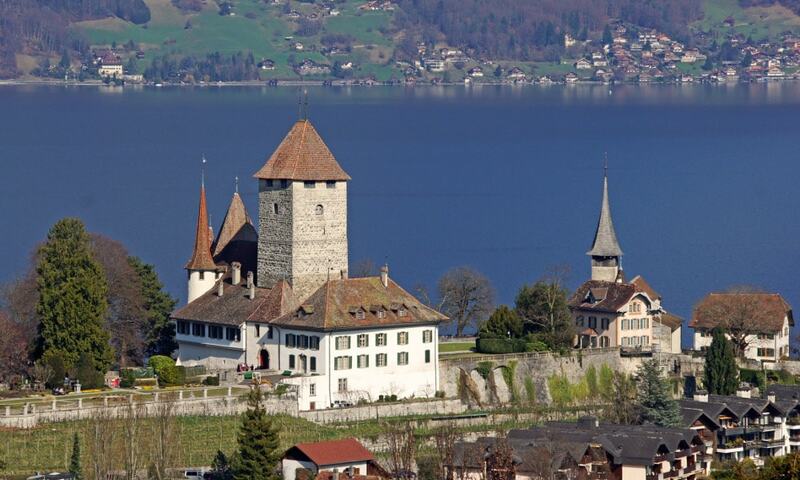 Spiez Castle was most likely built in 933 by Rudolph II, the King of Burgundy. Shortly thereafter, Lord von Strattligen settled in the castle. Portions of the current castle shield walls as well as the massive square keep were built during the 12th century. The old castle was expanded in several stages during the Late Middle Ages but little is known about the specific dates or what was changed. During the 17th and 18th centuries the south New Castle was built and then expanded and redecorated in the late Baroque style. The castle was surrounded with gardens, vineyards and forests. After 1875, the castle passed through several owners until a foundation bought the castle and associated church. The gardens are now open to the public and the castle rooms are used for conferences, concerts, exhibitions and other events.